If your hair is dry and frizzy, it is screaming for moisturization. It’s simple – your hair is like a plant. The more you water it, the more it grows. 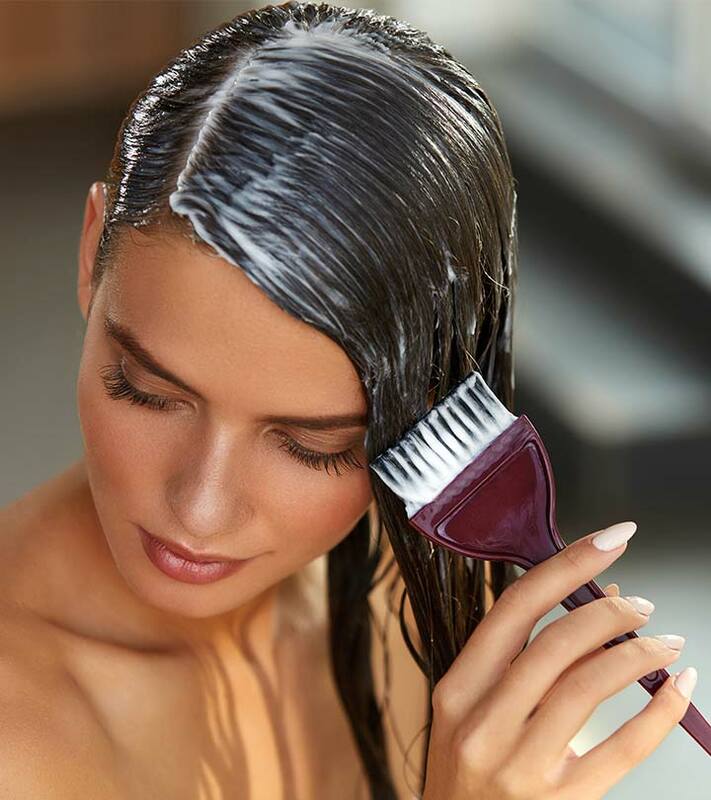 Regular oiling is excellent, but applying a hair mask gives it extra nourishment from root to tip. Hence, if you want to rescue your hair at the earliest, you need to pamper it with hair masks. Here are some of the best hair masks available in the market. Made specially for mothers with postpartum hair blues, Mama Earth Argan Hair Mask is a savior. It revitalizes damaged hair and softens dry and frizzy hair. This mask strengthens your hair, reduces hair fall, and imparts shine. It promises to nourish your hair deeply. The collagen in it helps get rid of dry and split ends. The tea tree oil present in this hair mask cures dry scalp and prevents clogging of dust particles, giving your hair deep nourishment. It also treats dandruff. If you are looking for a toxin-free hair mask, this is for you. 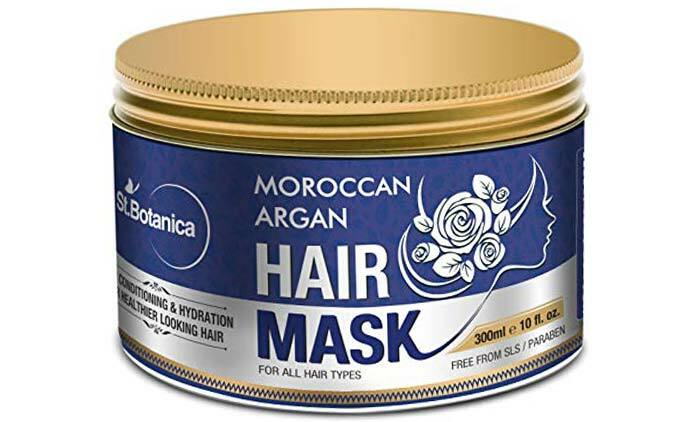 St. Botanica Moroccan Argan Hair Mask will make you fall in love with your soft and luscious hair. 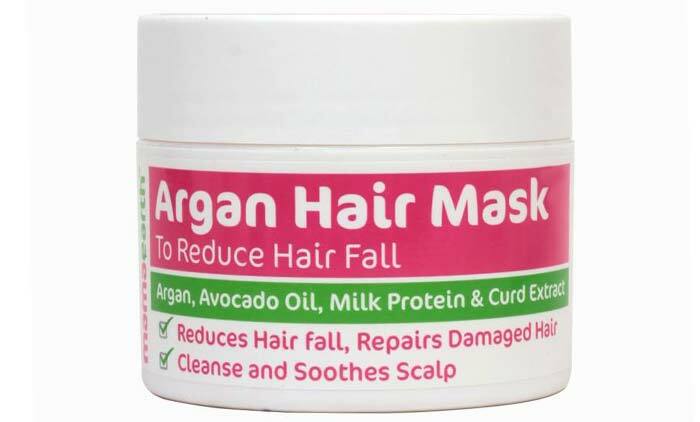 This argan oil mask revitalizes dull hair, moisturizes dry and frizzy locks, and conditions and nourishes damaged split ends, giving you a complete salon-like experience. With its combination of essential oils, vitamin B5, and vitamin E, this hair mask improves scalp health and strengthens hair follicles from within. It works wonders even on chemically treated and colored hair. It soothes and smoothens your hair and makes it silky, damage-free, and thick. 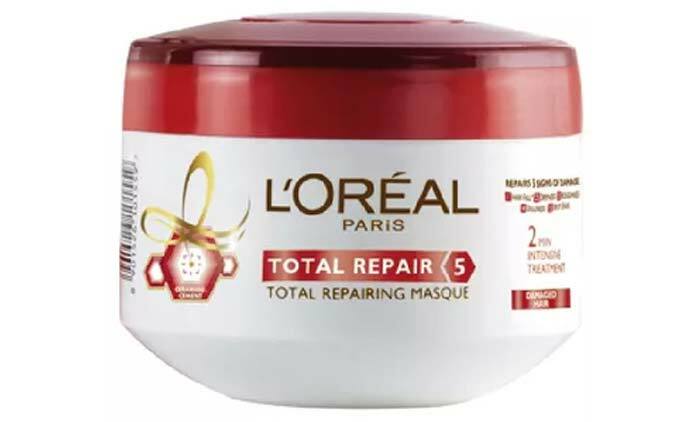 L’Oreal Paris Total Repair Hair 5 Masque is a total winner! With its ceramide-cement formula, this mask intensely repairs and protects your hair from the 5 signs of damage – hair fall, dryness, roughness, dullness, and split ends. With regular application, your hair will be transformed from dry and damaged to silky and soft. You can include this product in your daily hair care routine to get healthy and manageable hair. This hair mask ensures excellent results within days of usage. It contains a Hydro-Keratin complex that helps moisturize your hair instantly and gives a salon-like experience. 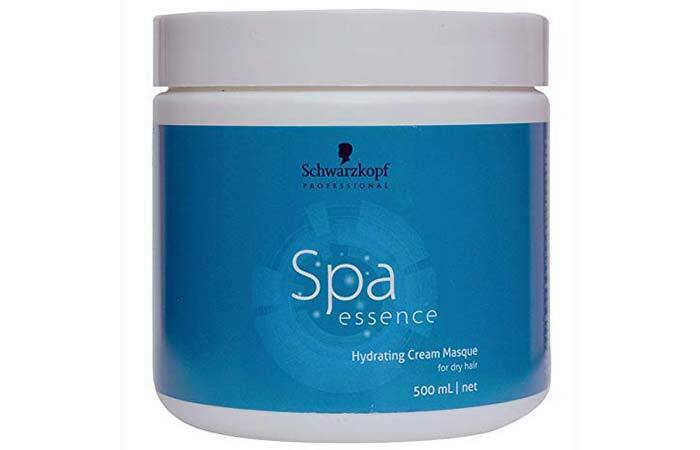 The hydrating power of this mask will soften and moisturize damaged follicles. Within no time, the texture of your hair will improve, giving you soft and healthy-looking hair. 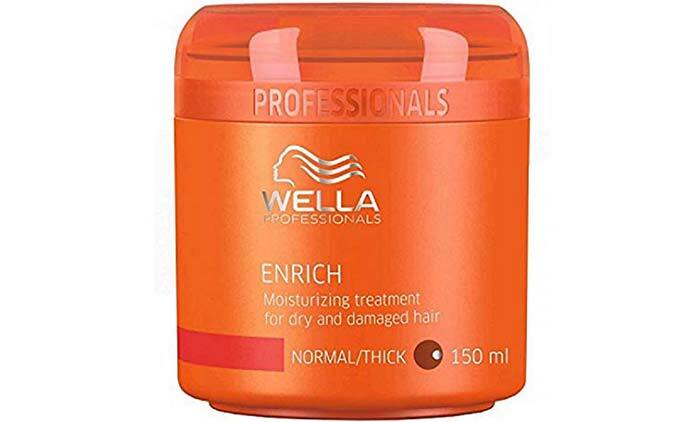 This hair product is a dream for dry hair types as it contains intense hydrating properties that help tame your hair and make it fuller and silky. Ladies, stop worrying and start celebrating! 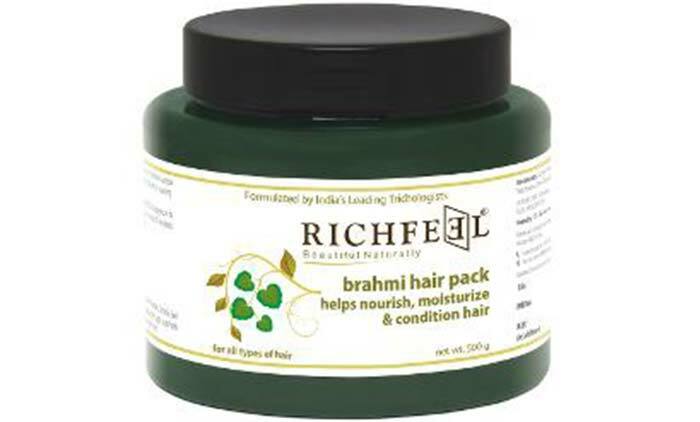 Richfeel Brahmi Hair Pack is everything you’ve been looking for. 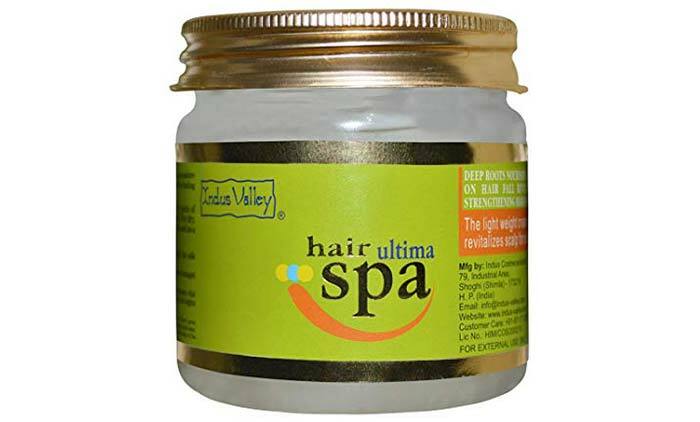 This hair mask is specially made for damaged, dry, and brittle hair. Brahmi is an herb that helps in nourishing and promoting hair growth. It has anti-inflammatory properties that help fight any allergies and fungal infections. It is considered to be a healing herb as it improves scalp health and strengthens your hair from within. This hair mask is perfect for pampering any hair type. It claims to deeply nourish, condition, and improve the overall health of your hair. This hair mask intensely repairs damaged follicles with utmost perfection. It is formulated with Triple-Blend Technology that helps in new hair growth. It also contains silk extracts that condition your hair instantly and making it noticeably soft. 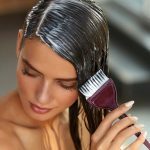 The texture of your hair will improve within a few weeks of use. This moisturizing hair mask reduces frizz and softens dry hair strands, giving you luscious and shiny hair in no time. 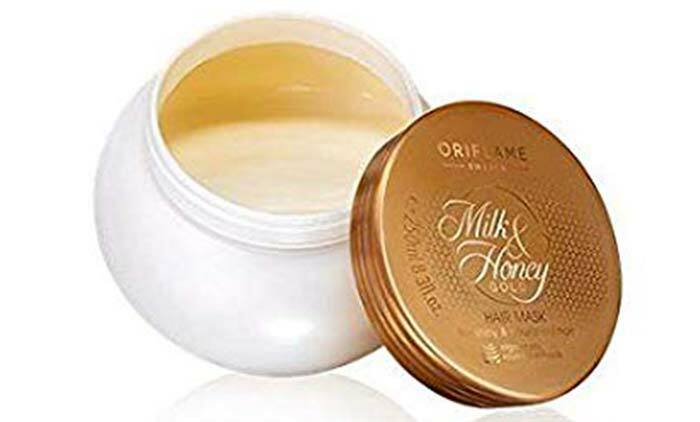 Oriflame Milk And Honey Gold Hair Mask is specially made for severely damaged and dry hair. With its natural extracts of wheat, milk, and honey, this hair mask will nourish your hair from root to tip and impart a honey glazing gold glow. Wheat protein is known to be a conditioning agent that deeply penetrates into the cortex and repairs damaged follicles. The added goodness of gold pigments helps impart shine and luster to your hair. Once the mask is off, there is a radiant glow that stays for a long time. Within a few applications, this mask will work wonders and make your hair go from stressed, dry, and frizzy to healthy, soft, and silky. You don’t have to visit Toni & Guy to get a salon-like experience. 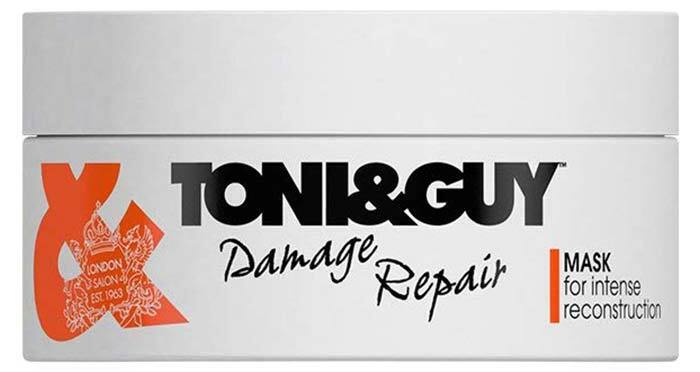 The Toni & Guy Damage Repair Mask has conditioning properties that help in revitalizing damaged and dull hair. It imparts shine and softness liberally. This mask works wonders on severely damaged tresses without causing further issues. It promises to leave your hair healthy and free of damage or breakage. Every hair strand is guaranteed to get the required attention it seeks. This mask will transform dull and damaged hair into luxurious and healthy looking tresses. This mask is a natural substitute for harsh chemical hair products. It helps you get rid of dandruff and other hair related problems. This creamy textured hair mask claims to deeply nourish the scalp and strengthen the follicles. It contains ingredients like neem, lavender, methi, and basil, which enhance hair growth and restore shine to dull and damaged tresses. It also contains coconut and almond oil that impart a natural shine to your hair. This hair spa acts a conditioner that can instantly smoothen your hair from root to tip. Are split ends bothering you? Not anymore! 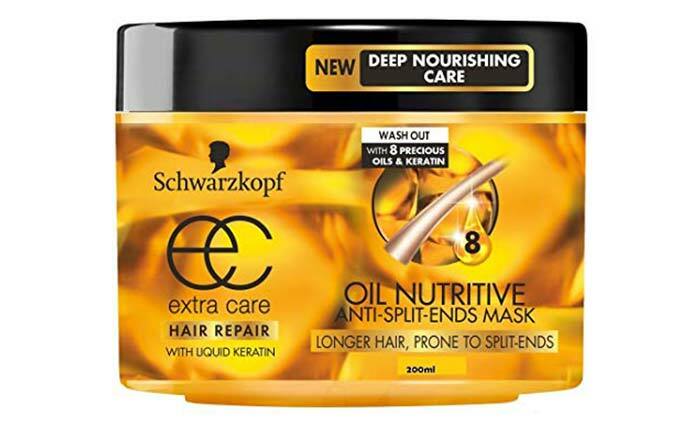 Schwarzkopf Gliss Hair Repair Mask is here to save the day. This anti-split ends mask is made for the sole reason of treating split ends and any other damage to your hair. Along with deeply nourishing your hair, this mask also protects it from further damage. It makes your hair visibly soft and manageable. It claims to strengthen your hair within the first few applications. With continuous usage, this mask will reduce your split ends by 95%. Choose your favorite product from this list and let us know about your experience by commenting in the box below. Dull. Lifeless. Dry. If these are the kind of words that you would use to describe your hair, you are in major trouble. And it’s funny, isn’t it? We never skimp on moisturizing our skin. But when it comes to moisturizing our hair, all we do is slap on some conditioner in the shower and call it a day. In this day and age, when pollution levels are high and you can’t simply stay at home to avoid it, hair damage is pretty inevitable. The most convenient and inexpensive solution to this problem? Organic hair masks! Check out this list of the top 10 organic hair masks available in India. “Life is short. Make each hair flip fabulous.” Isn’t that what we all want? To keep your locks shiny and free from dryness and frizz, you need to transform your hair care routine completely.